The collapse of coalition talks in Berlin will have serious repercussions for the rest of the EU. Attempts by Angela Merkel to form a coalition government and secure her fourth term as German chancellor broke down late Sunday night after the pro-business Free Democrats walked out of the talks. Merkel, long known for her skills at forging compromises, was visibly taken aback by Lindner’s decision. “It’s a day at the very least for a profound examination of Germany’s future,” Merkel told reporters after the talks ended. “As chancellor, as caretaker chancellor, I will do everything to make sure this country continues to be well governed through the tough weeks ahead,” she added. No matter what Merkel does next, Germany has become Europe’s latest problem. The expectation that the country, under Merkel’s helm, would be predictable and stable is no longer a given. The EU has been dealt a severe blow at a time when Brexit talks remain bogged down, when the eurozone is in need of reform, and when French President Emmanuel Macron had been waiting for Merkel to head a new government so that both leaders could press ahead with shaping Europe. For the moment, Macron is alone in his quest to change the EU. It was never going to be easy for Merkel to forge a coalition of the Christian Democrats (CDU), the Christian Social Union (CSU), the Free Democrats, and the Greens. The “Jamaica coalition” (so-called because of the symbolic colors of the parties are also the colors of the Jamaican flag) was beset by major differences right from the beginning of the negotiations. The refugee and asylum issue was just one of the contentious issues in the coalition talks. The heavy losses suffered by the conservative bloc during September’s federal election were blamed on Merkel’s “open door” policy, which led to more than one million refugees entering the country in 2015. 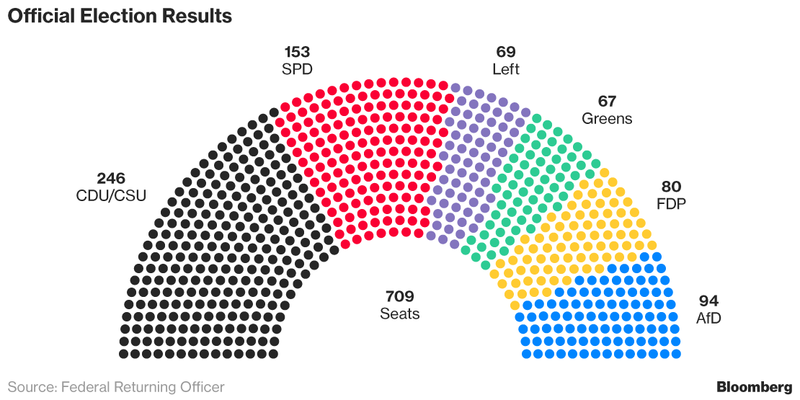 As a result, the far-right, anti-migration party Alternative for Germany (AfD) won more than 12 percent of this year’s vote—and entered the Bundestag for the first time with 94 seats. That result made it the third largest party in the parliament. During the coalition negotiations, Horst Seehofer, leader of the CSU, which is based in Bavaria, was persistent about a cap on asylum seekers, in addition to opposing family unification. Seehofer was desperate to be as tough as possible so as to roll back the popularity of the AfD ahead of next year’s state elections. In short, his sights over the past four weeks were about milking the talks as much as possible in order to shore up the CSU in Bavaria. As for the Greens, they wanted more stringent measures introduced on environment policy. But it was the Free Democrats that were the most innovative in their proposals. Lindner wanted the new government to embrace digitization, modernize asylum laws, and introduce a long overdue tax reform. He also wanted to phase out the special “Soli” tax for eastern German states that was introduced after reunification. Unwilling to go back on his electoral promises, Lindner threw in the towel just before midnight. ‘‘A chance has been missed to go beyond ideological boundaries and agree realistic solutions,” Eric Schweitzer, head of Germany’s DIHK chamber of industry and commerce, told the Deutsche Presse-Agentur newswire. “But the DIHK is confident that all responsible parties will ultimately be capable of finding sensible compromises.” At least that’s what he hopes. It is difficult to see Lindner returning to the negotiating table unless there’s a major shift by the parties. Besides, any trust built up over the past few weeks among these four very different political groups has been all but destroyed. She could form a minority government, which would be unprecedented in Germany’s post-1945 era. But stability would not be guaranteed. She could ask the Social Democrats to join another grand coalition. But there is little appetite for the SPD to prop up Merkel, which they did from 2013 to 2017 as the junior partner in her governing coalition. The SPD decided to go into the opposition after a miserable election result last September. Merkel’s other option rests with President Frank-Walter Steinmeier, who could call new elections. But it’s hard to see Merkel’s conservative block or the other parties, with the exception of the AfD, relishing such a prospect. Indeed, Steinmeier urged all the parties to return to the talks, saying they had an obligation to their voters to do so. Besides, there is concern outside Germany about the idea that Europe's biggest economy might not be able to form a new government. It’s also hard to see Merkel’s critics inside her own party remaining silent about their leader’s future. And here is the issue facing Merkel’s Germany. Governing the country is one thing. Leading it—with a compass and projecting new ideas—is another. What happens over the next few hours or days is anyone’s guess. One thing is certain: Europe is weaker and Germany has become unpredictable. This article has been updated to note the German president’s urging that parties resume coalition talks. But ... but ... but ... the New York liberal media says she's the leader of the free world. It can't be they're wrong ... again? The attempt at coalition government in Germany apparently failed because the Free Democratic Party largely supports 'Wall Street' and unregulated global finance. Prosperity beats national politics, as the UK negotiator on Brexit suggested recently. However many might disagree. The political difficulty in Germany and Brexit shows the battle over this fundamental question in national governance, let alone European and global governance. If Frau Merkel calls for elections, I would think the FDP would get hammered the worst. And the AfD would probably get more votes. Their reaction would be, "Ja ja!" And Merkel would probably gain little if anything. You have to admire merkel's optimism and idealism letting in the 1.2 million even though it has lead to the greatest uncertainty in German politics in the last 70 years. Would she do it again knowing what she knows now about what it has done to her and her party not to mention Germany? Would not be surprised. There is a Trumpian stubbornness there. These are critical times for Europe and for what we call Western civilization. An united Europe, the largest, wealthiest entity in human history, after attuning for the war of 1914-1945, could have returned to truly lead the Western civilization (the meaning of lead is a different discussion). Best universities, education and healthcare not ruining the citizenry, high speed trains, LHC, ITER, and much more, Macron’s vision (a true European intellectual, articulating what Europe should have been for the last millennium, instead of a killing field), and all can be wiped out at the voting booth. What happened in Germany now shows that the democracy we have is made of two components: an educated citizenry and an educated political class in a complex interaction. Even losing many seats a coalition CDU/CSU/SPD had more than 50% of the votes. The author writes, which appears to be the reality: “But there is little appetite for the SPD to prop up Merkel, which they did from 2013 to 2017 as the junior partner in her governing coalition.” So basically, a former President of the European Parliament, Martin Schulz can’t explain his party that unity around Europe predates anything else, while the average SPD member is not on the streets asking SPD to support Europe. It is almost painful to write the words Weimer Republic, almost as painful as realizing that the magnificent Dresden, in the beautiful Saxony is not the European capital it should be. What AFD and others in Europe are saying could have been easily predicted in 1979. Religion in the 20th century should have been for the soul, not the battlefield. Communism would have eventually collapsed without religious war in Afghanistan. The EU made another critical mistake in Yugoslavia, followed by many other critical mistakes, although it is easier to criticize than find an actual solution. The fundamental question for the immediate future is if the EU has the geopolitical clout to lead the world in peace. 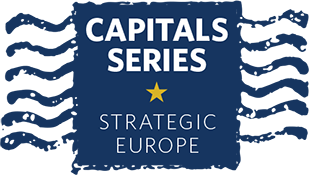 These elections, as many (recent) others have shown that increased military spending, increased aggressivity are not considered a winning strategy, if hardly ever mentioned. To become a world superpower, where it belongs, Europe will need first to stay united, and get BrBack (the opposite of BrExit) going. There is no other way, in a world reaching Club of Rome limits (it could actually be far worse than estimated), and this should come from an educated citizenry. “L’Europe Unie, ou Finie!”, Macron’s vison is obvious. ...A little bit of this and a little bit of that would bring Angela and Germany back! Analyzing the issue to death will not change the truth. Germans are fed up with the cuts to Social security after working 40+ years. The money they worked for goes to foreigners that have no problem committing violence against the natives. Heed the history lest you repeat it.In a nutshell, the politicians are not listening to the people and their will be consequences.